Lunch on board.Sail to Esna. Afternoon, Tea. Disco Party. Overnight on Board in Edfu. (Optional-not included) 100 $ P.P Departures to Abu Simbel visit the Temple of Abu Simbel back to Aswan, The colossal Temple of Abu Simbel built by Ramses II (XIXth. 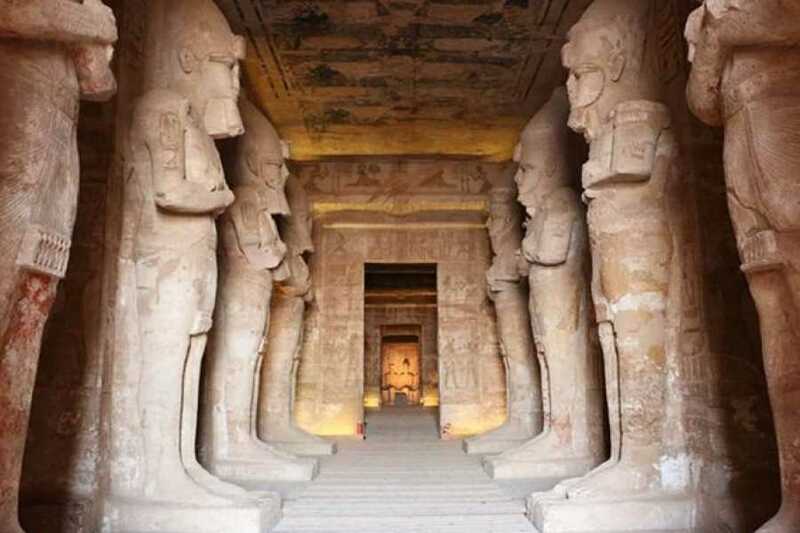 Dynasty) and lately saved from the inundation of the Nile waters in among the glories of ancient Egyptian monuments. The temples were built out of a sandstone rock cliff, and representation of the deities to which each was dedicated is carved on its huge façade. Nearby, also saved, lies the small Temple of the King's wife Nefertari, dedicated to the goddess Hathor.